Danceblast! 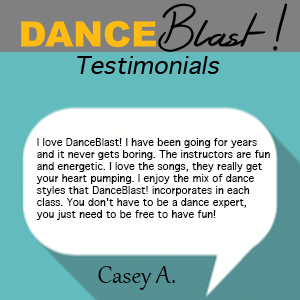 – The best dance workout in Cincinnati. Our passionate instructors, upbeat music and fun dance moves will keep you engaged and excited at every class. DanceBlast! aims to enrich lives by bringing the joy of exercise and dance to others in a welcoming, community atmosphere. Our DanceBlast! instructors come from very diverse backgrounds, but we all share the love of dance and fitness. This makes the classes fun and energetic. Our current locations are easy to find and have ample parking. Check back often as we will be adding MORE locations and classes soon. 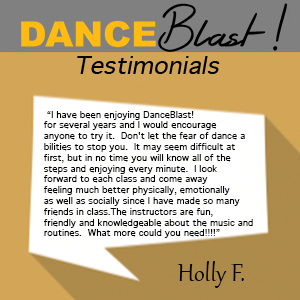 For more information, email us at danceblast2016@gmail.com , call us at 513-519-4062 or just stop in a class and try it out! We offer fun dance fitness classes throughout the Cincinnati and Northern Kentucky region. Let your inner light shine, express joy and live life more fully through exercise and dance. The main idea behind what we do is to put the FUN FACTOR back into your life as well as your workouts. We will help you to get lost in the music, to laugh at yourself, to let go, and be completely fabulous in your own unique way. Our dance fitness classes are fast paced, challenging and fun! We incorporate a variety of dance styles, including jazz, hip hop, latin, ballroom, disco, bollywood, and plenty more danced to popular music that you probably already know and love. Our classes appeal to former dancers as well as to those who just want to dance but lack any formal training. Every week we add one new song / routine and discard one old one, so that there is enough new material to keep it interesting but there is enough repetition for you to be able to really master some of the routines and have the opportunity to really add your own flavor to it. It takes about 2-3 classes for most people to be able to master most of the steps. If you're looking for the next challenge, you don't take yourself too seriously and you are looking for a FUN workout, then you're in the right place. Our BalletBlast! class will incorporate the barre warm up used by ballet companies worldwide. This will help improve posture, balance, and coordination while being gentle on the joints. We have a variety of song choices for multiple exercises with the use of the barre. The 2nd portion of the class will consist of a traditional DanceBlast! class. So, bring your stamina and be ready to sweat it out. We can bring the party and the fun factor to weddings, bar mitzvahs, bat mitzvahs, birthday parties, corporate events, festivals and so much more. We can even help you stage a flash mob! If you have an event where you'd like to have people dancing, we can make sure that it happens!!! Our instructors can get everyone dancing and ensure that your guests have a fabulous time by leading your group through simple, easy to follow dances done to popular music. If you want a fun and memorable event for your guests, give us a call or send an email and we'll give you a quote! Classes fill up fast so register online or contact us for more information. Upbeat and energetic instructors are here to guide you through the routines and encourage your fitness goals. Our classes are for everyone including former dancers and beginners! If you are looking to sweat, laugh and have a great time, then you are in the right place. Danceblast! has instructors with versatile backgrounds and experiences but they all have one common interest that is passion for dance and fitness! This is what they share with you at the class to make it an energetic and fun filled fitness class. 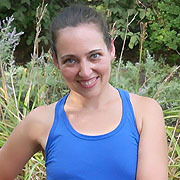 Lisa Schechtman has been dancing since the age of 10 with a background in many different styles of dance (ballet, pointe, tap, jazz, modern/contemporary, lyrical, worship, belly/Egyptian, Flamenco, musical theatre, and hip-hop). 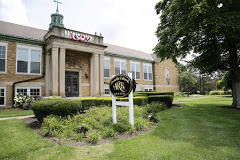 Lisa earned a degree from Wilmington College in Early Childhood Education and theatre. Besides dancing, Lisa likes working with children and spending time with friends and family. Kelsey did gymnastics from an early age, continuing through high school. Since then, she has always tried to stay active, trying out different fitness classes and activities. After moving to Cincinnati, she started taking aerial classes and found the fitness community presented a great way to meet new people. 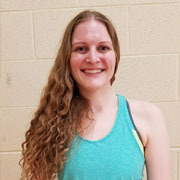 She enjoys the variety of fitness classes available and has fun trying out different activities with friends. Kelsey started taking classes with DanceBlast! at the beginning of 2018 and is excited to be teaching.